Finasteride, commonly known as Propecia® and Proscar®, is a widely used medication for the treatment of hair loss in men. It does a great job at maintaining existing hair and re-growing hair in a large percentage of guys dealing with androgenetic alopecia and is one of many non-surgical hair restoration treatments we offer at the Hair Transplant Institute of Miami. The U.S. Food and Drug Administration (FDA) approved finasteride as an oral medication over 20 years ago. Its effectiveness is not in dispute: 83% of men studied were able to retain their initial follicle count, while 64% experienced re-growth after two years. Finasteride gets these results by inhibiting the body’s production of dihydrotestosterone (DHT), a naturally occurring derivative of testosterone which helps with sexual development in males during fetal development and puberty. The problem is that DHT has been linked to hair loss, so reducing DHT levels can be the key to stopping hair loss in men. In recent years the drug was introduced in a topical form, much like Rogaine. Since finasteride as a topical treatment is of fairly recent origin, many patients who are exploring hair loss treatment options hear conflicting reports or misinformation about the medication’s use in this form. We’d like to clear up some of the most common topical finasteride myths so you can make a more informed decision about whether or not to consider this form of the drug in your efforts to combat hair loss. Of course, you should always consult with an experienced hair loss physician before making any decisions about how to proceed (and you’ll need to if you want finasteride in any form since it is prescription only). As noted, oral finasteride was approved by the FDA for the treatment of hair loss over two decades ago. But the FDA has yet to approve the drug in topical form for this purpose, primarily because of a lack of data not because of any specific concerns about its safety. That said, finasteride’s effectiveness as a topical solution is being widely studied, and there are reports that the Swiss pharmaceutical company Polichem is working towards obtaining FDA approval in 2020. Even though the FDA has yet to approve topical finasteride for the treatment of hair loss, it is still available in the U.S. for that purpose as an “off-label” prescription. The good news is that that these side effects only appear in a small minority of men (about one out of every hundred) who take finasteride orally and if any issues do arise with sexual functioning, they are almost always temporary and will return to normal after discontinuing the drug. But some have claimed that applying finasteride as a topical treatment gets rid of these risks. While this is untrue, it is likely that the possibility of side effects from the topical application will be less than oral ingestion due to the way the body absorbs the drug. Some men using finasteride report an increase in shedding soon after they begin using it, making them worry that the drug is doing more harm than good. The reality is that this mild shedding is normal and necessary for new hair to grow. Finasteride actively stops the current hair growth cycle and begins a new one. Any hair that is in mid-cycle will fall out and be replaced by healthier, stronger hair. As with any medication, you should discuss with your hair loss physician whether DHT blockers or other pharmaceutical treatments offer a viable and effective option for addressing your hair loss issues. If you’re ready to do something about your hair loss, contact the Hair Transplant Institute of Miami online or call our office directly at 305-925-0222 to receive a personalized evaluation and treatment plan. Hair loss can become a concern no matter what your age. Many people may first notice a receding hairline or thinning hair in their late teens and early 20s. Living with noticeable hair loss at a relatively early age can be particularly traumatic, causing young people to feel old before their time. If you are in your 20s and are worried about hair loss, you may be exploring ways to address the problem, including a surgical hair transplant. Medication, lifestyle changes, and other non-invasive treatments can be effective at combating hair loss in younger adults. But whether a transplant is advisable depends on the reasons behind the hair loss, and it may, in fact, be a less desirable option that it would be if they had a few more years under their belt. 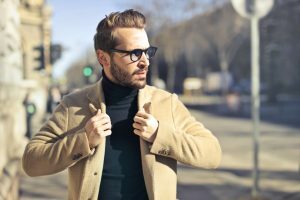 There are a few reasons hair transplants for those in their 20s present unique issues. The primary reason for caution is because it may be difficult at that stage to know how the hair loss pattern will progress and ultimately manifest itself. The hair loss process may not be complete at this stage. 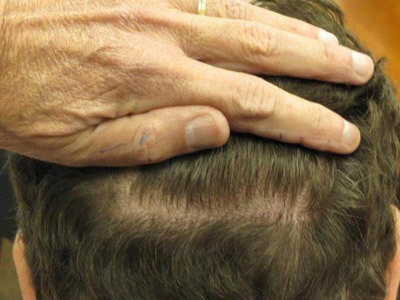 While a transplant might be effective at addressing existing problem areas, the possibility that hair loss may become an issue elsewhere can result in an “island” of transplanted hair bordered by new thinning or balding areas. Similarly, a transplant focused on lowering the hairline can become awkward and unnatural in appearance if the hair above the transplant area begins to thin or fall out. Another issue faced by young adults that may make a transplant unadvisable is less physical and more financial. 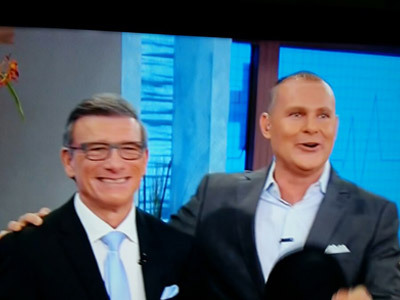 Always remember that hair transplant surgery is, in fact, surgery. That means only a highly trained, supremely skilled, and extremely experienced hair transplant physician should perform your procedure. Unfortunately, there are plenty of clinics or supposed hair loss specialists who may offer “cut-rate” prices reflective of the quality of work they perform. Young people may not yet have the financial resources for a hair transplant done right. Waiting until you can have your surgery performed by a top-notch surgeon may be worth more than subjecting yourself to a substandard operation which will leave you disappointed or needing corrective surgery in the future. All of that said, hair transplant surgery may be a viable option for someone still in their 20s if the hair loss is particularly advanced. The only way to know which hair loss treatment is best for your individual situation is to schedule an evaluation with a hair loss physician who can diagnose the cause and progression of your hair loss and work with you to develop the optimal treatment plan. 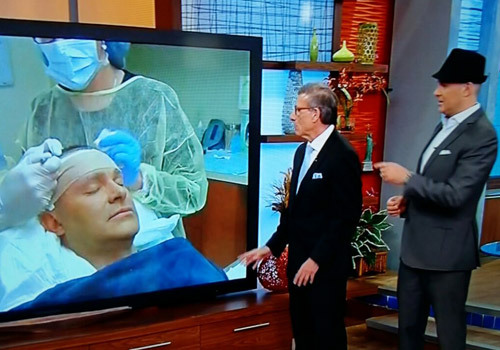 Hair transplant surgery is both an art and a science. It combines the surgeon’s medical knowledge with meticulous attention to detail and the skill and vision required to create a full, youthful-looking head of hair. But even the most talented surgeons can further perfect their work by taking advantage of advancements in technology which can help them produce even better results. 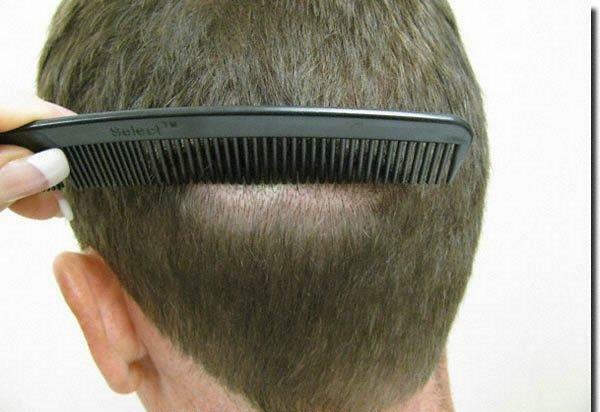 At the Hair Transplant Institute of Miami, we take pride in combining technique and technology. Our award-winning surgeons are renowned for their mastery in the field of hair restoration. But they are also committed to staying at the cutting edge of technological innovation. That is why the Follicular Unit Extraction (FUE) procedures we perform seamlessly interweave computer-guided extraction with our surgeons’ precision in transplanting follicles to the donor area. Follicular Unit Extraction is a minimally invasive method of transplanting individual hair follicles for natural-looking results. FUE involves harvesting using a circular needle called a “punch.” Follicular units are removed from the donor area with a 0.8-1-millimeter circular tool in a scattered pattern to eliminate the linear scar associated with traditional donor strip harvesting. Because scars are tiny and dot-like in appearance, patients who undergo an FUE hair transplant have the freedom to wear shorter hairstyles post-operation. Our approach utilizes the image-guided robotics of the ARTAS system to extract the follicles to be transplanted. Under the control of your surgeon, the ARTAS system’s robotic arm and sophisticated digital imaging facilitate the harvesting of follicular units. It continuously re-calculates hair position, angle, and other parameters to track each follicular unit. This leads to optimal harvest results and robust and viable grafts. The ARTAS technology targets follicular units in a random fashion to ensure the donor areas retain their natural appearance. The selected hair is then precisely removed while most of your hair is left in place so that the area retains its natural appearance. While we use the ARTAS system to extract follicles, we rely on the skill of our surgeons to carefully and meticulously transplant the follicles to the donor area. We have found that manually transplanting follicles to the recipient area provides a more aesthetically pleasing result while also encouraging the growth of the hair once transplanted. That is why the skills, talents, and experience of your hair transplant surgeon should be the most important factors you consider when evaluating your hair restoration options. Technology such ARTAS has no doubt made hair transplant surgery more effective and precise, but it is the surgeon that can make all the difference between exceptional results and a disappointing outcome. That is also why so many men and women looking to do something about their hair loss turn to the Hair Transplant Institute of Miami. Drs. 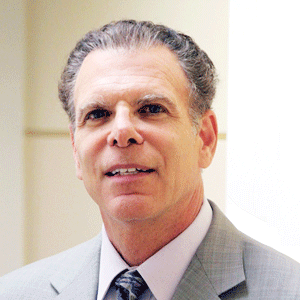 Nusbaum and Rose are internationally acclaimed hair restoration surgeons with more than 40 years combined experience. Both Drs. Nusbaum and Rose are actively engaged in hair loss research and lecture widely. To receive a personalized evaluation and treatment plan, contact us online or call or office directly at 305-925-0222. The big day is here. You wake up, feeling a lot of excitement and a maybe a little bit of nerves about what lies ahead. Today is the day of your hair transplant surgery, and the first day of the rest of your life with a head of hair on its way to the full, natural, and youthful look you once had. You’ve had the consultations, discussed the best approach with your hair restoration physician, taken the steps he or she advised to get your ready for your surgery and now it’s time to head to the clinic. What can you expect on this important day in your hair restoration journey? First things first: get up and have a healthy, light breakfast unless instructed otherwise. While you can drive yourself to the clinic, you will need to arrange for a ride home because of the light sedation you will be under during the procedure. As such, it may be easier for a friend or family member to give you a lift to the clinic as well. When you arrive, the staff should do everything they can to make you feel you comfortable and at ease. You will meet with your surgeon who will discuss with you what exactly will take place during your procedure, even if they have done so previously. Feel free to ask your doctor any questions you may have. Your surgeon is committed to making your hair restoration surgery as successful as possible, and that includes keeping you informed as to what is about to occur. You will then settle in to your surgery suite, which is designed to be a welcoming and relaxed rather than cold and sterile environment. You will experience minimal, if any pain during the procedure. A technician will massage your scalp prior to administering local anesthesia, like the kind a dentist uses. The massaging creates a vibration in the skin that works in combination with the anesthesia to reduce any discomfort. You will also be given a mild sedative at the beginning of the session to minimize any anxiety you may be feeling. During the procedure, you can either rest, listen to music, or watch movies or TV on your phone, tablet or other device. Your procedure will likely take several hours; the exact duration of your surgery will depend on the number of grafts being transplanted. For a 2000 graft case, the average time is about 6 hours. After your surgery, your physician will give you detailed aftercare instructions to help you heal and get you back to your routine as quickly as possible, which is often the very next day. Make sure you get clarification on any instructions which may be unclear to you. As noted, since the procedure involves the use of a mild sedative, you should arrange to have a friend or family member drive you to our office and pick you up after the procedure. We welcome drivers to wait in our reception area, or they may visit the Village of Merrick Park, located just across the street from our Institute. When you return home that evening, you can sleep well knowing that you have taken a huge step to improving your appearance, confidence, and well-being. The first step in doing something about your hair loss is to arrange for a hair loss consultation. We invite you to schedule an evaluation at the Hair Transplant Institute of Miami. Drs. Nusbaum and Rose are internationally acclaimed hair restoration surgeons with more than 40 years combined experience. To receive a personalized evaluation and treatment plan, contact us online or call or office directly at 305-925-0222. In the November/December 2016 edition of the Hair Transplant Forum International, Dr. Paul Rose of the Hair Transplant Institute of Miami authored an essay reviewing Follicular Unit Extraction (FUE) – a minimally invasive method of transplanting individual hair follicles for natural-looking results. As one of the originators of the FUE procedure, Dr. Rose holds incomparable experience when it comes to method and accuracy. FUE involves harvesting using a circular needle called a “punch.” Follicular units are removed from the donor area with a 0.8-1-millimeter circular tool in a scattered pattern to eliminate the linear scar associated with traditional donor strip harvesting. Because scars are tiny and dot-like in appearance, patients who undergo an FUE hair transplant have the freedom to wear shorter hairstyles post-operation. In his article, Dr. Rose discusses FUE and the potential for wounding and thinning at the donor site when a large portion (40 to 50 percent) of follicles are extracted at once. Ideally, physicians harvest one out of every seven units to maintain density. 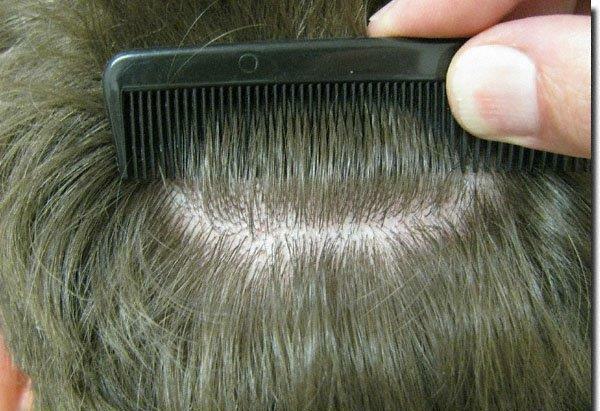 Based on this pattern, the average scalp containing 13,000 to 16,000 units would only be 14 percent harvested, or 1,800 to 2,200 grafts total. He points out that harvesting large quantities of follicular units makes transplants more apparent – the opposite intention behind the procedure itself. It’s safe to assume that surgeons reporting as many as 6,000 FUE grafts are creating areas of baldness greater than 6mm2 – eliminating the possibility for shorter haircuts without obvious thinning. 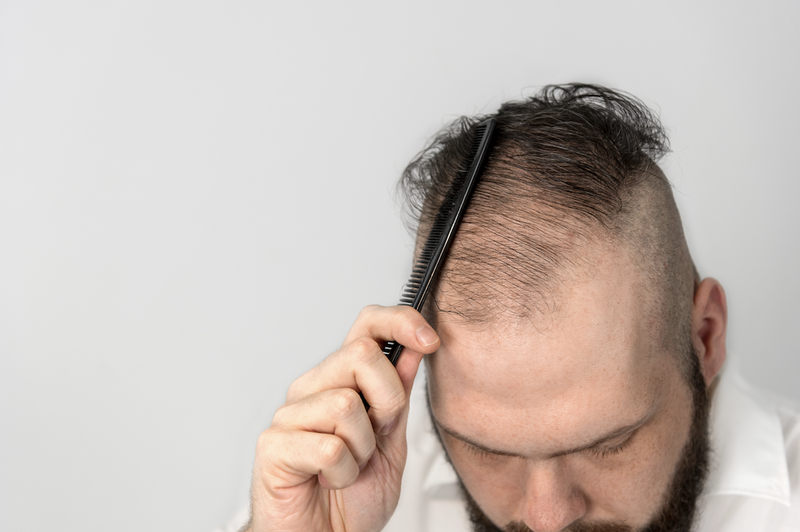 In addition, many patients lack three to four hair units, raising the risk for obvious thinning at the donor site when too many units are removed. Dr. Rose recommends that patients should be advised of the potential for this thinning at the donor site prior to surgery. Follicular Isolation Technique (FIT) uses partial follicular unit removal to curtail further thinning. Finally, Dr. Rose recommends micro-pigmentation to disguise thinning at the donor site. In an ideal world, devices that decrease wound size could minimize donor wound concerns. At the Hair Transplant Institute of Miami, we utilize the ARTAS® physician-guided machine – the most advanced method of harvesting hair from the back of the head. In addition, our Mosaic® hair restoration technique, developed by Dr. Rose and Dr. Nusbaum, mimics personalized follicular patterns for optimal results. Most patients fear that a bad scar will ruin a good hair transplant. Although 100 percent scar-free hair transplants are not available with even the most advanced technologies, some advanced options provide minimal, practically indiscernible scarring. For patients who wish to conceal scars from hair restoration surgery, consider the following hair loss treatment options. Follicular unit extraction (FUE) removes follicular units from a donor area using a small circular needle called a “punch.” The tiny size of the needle creates “dot-like” scars instead of one, more obvious line across the donor area commonly seen in strip removal. 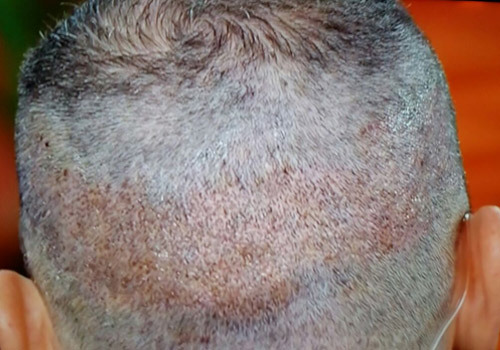 FUE allows individuals to wear hair shorter without visible scars. At Miami Hair, we incorporate the ARTAS physician-guided robotic system for FUE, the most advanced method in today’s market. Dr. Rose was one of the initial physicians to implement FUE in his hair restoration surgeries and has been using the procedure since 2004. Dr. Nusbaum is an ISHRS Golden Follicle Award winning surgeon who recommends low-level laser therapy (LLLT) products, including the Capillus272™ Pro, to his patients. Hair transplant surgery harvests donor hair from the back or sides of the head, which is then moved to the areas of the scalp with dominant hair loss. However, the number of follicles available for donation are limited. Therefore, he recommends LLLT as an added, at-home therapy for optimal post-transplant results. Another technique that lessens the look and visibility of scars is the closure technique, which is used to restore the donor site back to its original state. This process typically follows micrograft hair transplants. 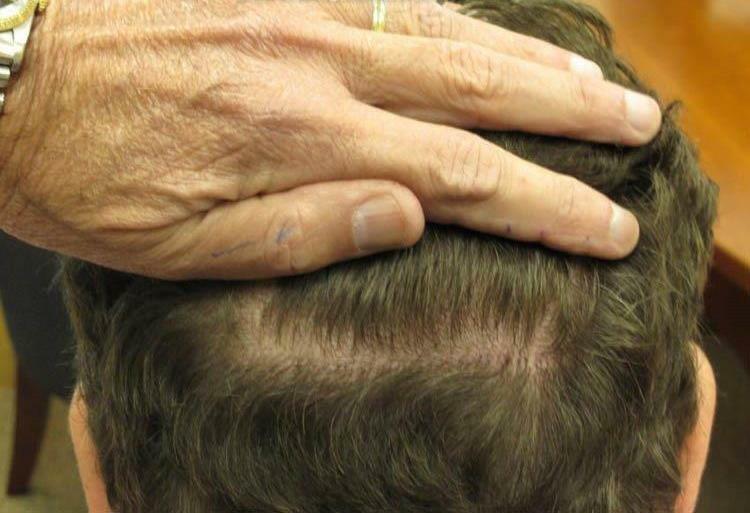 Dr. Rose developed the ledge trichophytic closure technique as a way of disguising the donor area scar by directing individual hairs to grow through the scar site, hiding the scar from plain view. The Hair Institute of Miami is the only clinic in the world with two ISHRS Golden Follicle Award-winning surgeons on staff. Both Dr. Rose and Dr. Nusbaum are equipped with the experience, track record, research and overall know-how to create natural-looking results. Dr. Rose, M.D., J.D., has over 20 years of experience in hair restoration surgery and is recognized as an international leader in seamless hair transplants. Dr. Nusbaum, M.D., has performed over 10,000 hair transplants in the last two decades, and holds a position as a Diplomate of the American Board of Dermatology. To schedule an appointment at the Hair Transplant Institute of Miami, submit an inquiry online or call our office directly at (205) 925-0222. Stronger hair can be yours. For many men and women, stronger and thicker hair can be achieved through simple lifestyle changes. Revising your daily diet to include more superfoods, for example, is one route to stronger hair. For others, a more comprehensive approach that includes surgical or nonsurgical hair loss treatment may also be required. In this article, we explore the 20 best-known superfoods for stronger hair. We also explore 3 of the most popular surgical and nonsurgical methods of hair restoration—moderate to aggressive treatments for men and women who experience more pronounced thinning, shedding, and balding. Whether dining out or cooking at home, look for opportunities to incorporate the following superfoods for stronger hair into your meals. As a rule of thumb, always pair 1 protein with 1 serving of vegetables and 1 serving of fruit. 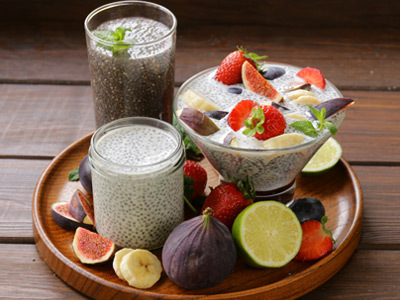 Garnish with seeds and extracts, and always remember to indulge in a delicious treat! A balanced diet rich in vitamins, minerals, and antioxidants has been proven to naturally improve the appearance of hair, skin, and nails. For some individuals, however, eating well is not enough. Whether predisposed to hereditary (genetic) hair loss or suffering from stress-induced telogen effluvium, the following treatment options are available to help men and women put an end to excessive thinning and balding. Minoxidil is a topical hair loss foam that both men and women may use. When applied directly to the scalp, minoxidil has been shown in clinical studies to prevent the progression of hair loss. Patients are cautioned, however, that hair loss will begin again when minoxidil use is discontinued. This treatment is available over-the-counter under the popular brand, Rogaine®. Laser hair restoration is a nonsurgical hair loss treatment that has enjoyed ever-increasing popularity over the past 3 years. Treatment consists of exposure to cool laser light to improve blood circulation and hair follicle health, thus promoting natural hair growth. We are pleased to offer laser hair restoration with the Capillus272™ Pro, a FDA cleared laser cap that can be worn in the comfort of your own home for fast results. Hair transplant surgery is a third option for men and women who suffer with hair loss. At the Hair Transplant Institute of Miami, we offer two highly refined approaches to hair transplant surgery. Strip Procedures. 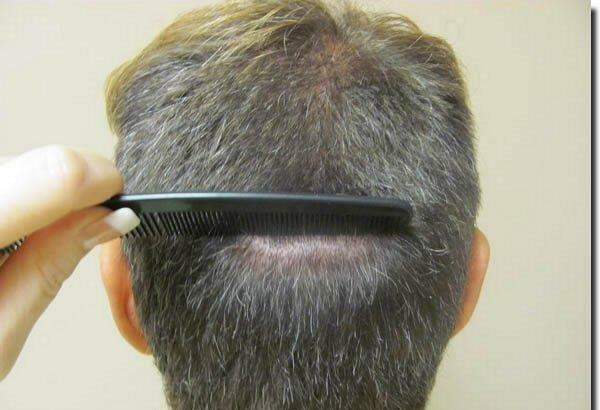 A thin linear strip of donor follicles (hair) is removed from the side or rear of the scalp, separated, and carefully transplanted to the thinning/balding area. Using a special closure technique, Miami Hair surgeon, Dr. Paul Rose, expertly redirects existing hairs to grow through and around the extraction area to effectively mask the signs of scarring. Learn more about strip procedures here. ARTAS® Follicular Unit Extraction (FUE). We are pleased to offer procedures with the revolutionary ARTAS® system, a minimally invasive, state-of-the-art technology that uses digital mapping and robotics precision to select and harvest hair for transplantation (FUE). Learn more about ARTAS® hair transplant here. 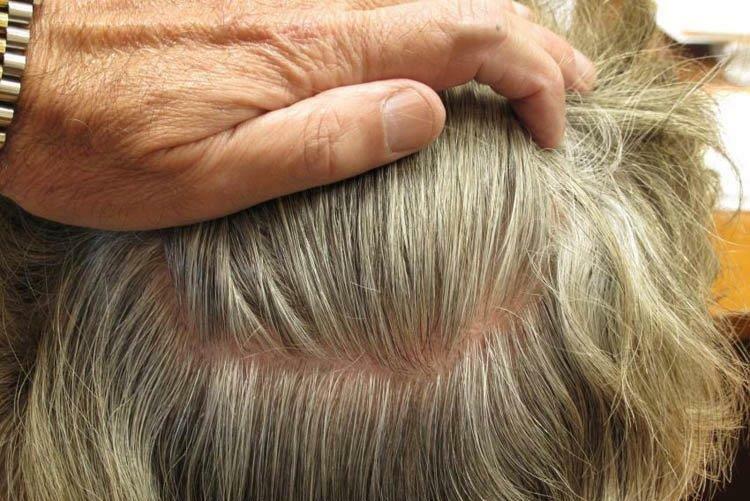 Have you noticed scalp irritation, excessive shedding, or other tell tale signs of hair loss? At the Hair Transplant Institute of Miami, we are pleased to offer patients the most advanced methods of hair loss diagnosis and treatment. We invite readers to contact us online to learn more, or contact our clinic directly at 305-925-0222. 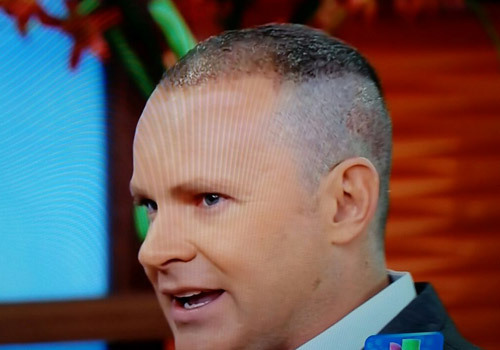 There’s never a dull moment at the Hair Transplant Institute of Miami. Just a couple weeks ago, our Coral Gables clinic received a visit from Univision celebrity and Despierta América star, Alan Tacher! 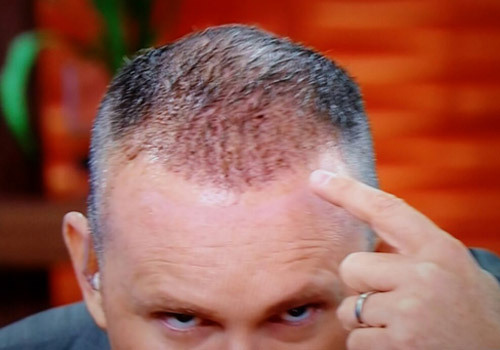 Like millions of men, Mr. Tacher has been experiencing hair loss along his frontal hairline and the top portion of his scalp. In such a case, surgeons can extract donor hair follicles from the sides or rear of the scalp—where hair growth is still thick and full—and transplant them to the hairline and/or front of the scalp where things are getting thin. Watch the Segment. Watch the televised segment below, courtesy of Despierta América. Celebrities are not the only ones who love our Institute. Patients travel from around the world to take advantage of the expertise and advanced hair restoration technologies offered by Dr. Bernard Nusbaum and Dr. Paul Rose. Below are just a few of the reasons patients consistently choose the Hair Transplant Institute of Miami over other hair loss clinics and treatment options. 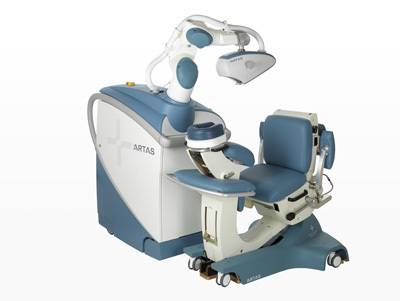 In 2012, our Institute become one of the first 11 hair clinics to offer the revolutionary ARTAS™ system for robotic FUE. ARTAS is widely considered to be one of the most advanced and effective tools for hair restoration surgery, using high resolution digital imaging and advanced robotics technology to extract near perfect donor hairs at micron-level precision. Visit this page to learn more about the ARTAS™ hair restoration robot. With or without a hair transplant robot, donor hairs must be surgically transplanted to the recipient area (portion of the scalp that is thinning or balding). This is where the surgeon’s skill and expertise separate the mediocre from the exceptional. At our Institute, surgeons use the patented Mosaic® Hair Restoration approach to ensure natural results that are nearly undetectable. To learn more about the Mosaic® Hair Restoration, visit this page on hair transplant techniques. 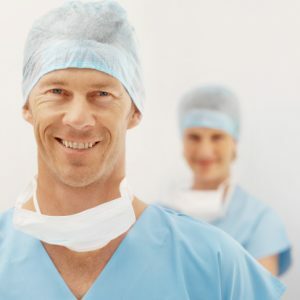 Of course, your procedure is just a small portion of your overall experience at the Hair Transplant Institute of Miami. Our clinic specializes in patient-focused care before, during, and long after your procedure. Our staff, nurses, technicians, and surgeons offer follow up care that is second to none. If you suffer with hair loss, you are not alone. Millions of men and women wake up each day dissatisfied with their appearance. Happiness, self esteem, social ambition, and professional life can all suffer as a consequence. With today’s technologies and treatment options, there’s no reason to let hair loss compromise your quality of life. 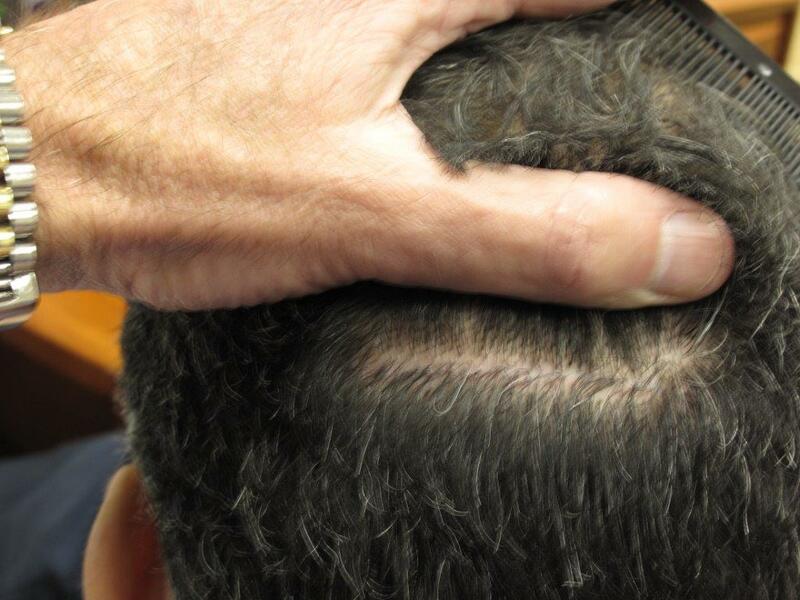 At the Hair Transplant Institute of Miami, we hold your pursuit of a newer, fuller head of hair in the highest regard. We welcome you to contact us online to schedule a hair loss evaluation, our call our clinic directly at 305-925-0222. Hearing the phrase hair plugs is enough to send a chill down your spine. Mention hair plugs in casual conversation, and there is an almost universal impulse to recoil. Unsightly and painfully obvious, hair plugs are perceived by many as a desperate and unsuccessful attempt to reclaim the confidence and youthful allure of “normal” hair. Today, we can do better than hair plugs. Much better. Hair plugs are uncommon today, given the rapid evolution of hair loss treatment that has occurred over the past few decades. The “pluggy” hair transplant procedures of the past are long gone. Today, they have been replaced by more advanced procedures that leave virtually no sign that a hair transplant has been performed. Below are several pictures of real patients who have recently elected to have a hair transplant procedure performed by Dr. Nusbaum and Dr. Rose at our hair loss clinic. Together, they illustrate just how far we’ve come since the hair plugs of the ‘80s. When asked, an overwhelming 85% of Americans cannot identify patients who have had a hair transplant procedure (i). What Has Replaced Hair Plugs? Today, there are two fundamental approaches to hair transplant surgery that have replaced hair plugs. The first is strip donor micrografting, and the second is follicular unit extraction (FUE). Both are known to deliver exceptional results. The strip donor procedure is an evolved form of hair transplant surgery. Following initial consultation, the hair transplant surgeon discusses the procedure with the patient, showing him or her how their hair will be surgically restored. Following consultation, the strip donor procedure is performed in 3 basic steps. First, a linear strip of follicular units is removed from an area of the patient’s scalp designated as the donor area. Next, that linear strip, or micrograft, is separated into tiny clusters of follicular units and prepped for transplant. Finally, each follicular unit is transplanted to the recipient area in a way that restores the scalp with natural density, thickness, and undulation. Follicular Unit Extraction is a highly refined method of hair transplant that is performed in a similar fashion as strip donor procedures, with 1 major difference. Rather than extracting a linear strip of donor hair, surgeons use a punch instrument to remove clusters of donor follicles individually. Following extraction, these donor follicles are prepped for transplant and implanted to restore the donor area. In the past decade, few things have made a more positive and transcendent impact on the medical community as robotic technologies. In the field of hair restoration, robots and advanced high resolution imaging now help surgeons to perform FUE procedures with even greater accuracy, precision, and reproducibility. Hair transplant robotics technologies, like the ARTAS by Restoration Robotics™, enable surgeons to extract a greater number of donor follicles, without the downside of physical or mental fatigue. Following extraction, surgeons manually transplant the donor follicles just as they would in a typical FUE procedure. Learn more about robotic FUE with the ARTAS in Miami. To learn more about hair transplant procedures, visit this page on surgical hair restoration techniques. To learn if you are a candidate for strip donor or FUE procedures, contact the Hair Transplant Institute of Miami online or call 305-925-0222. (i) “2010 Hair Transplant Challenge Survey.” International Society for Hair Restoration Surgery. Accessed 17 June 2013. The introduction of robotic follicular unit extraction (FUE) hair transplant procedures represents a significant achievement in the field of hair restoration. Today, surgeons can perform hair transplants with greater ease and precision, delivering a better patient experience and a beautifully natural end-result. Millions of men and women suffer with hair loss worldwide; today, advanced methods of hair restoration mean those individuals no longer have to let fear, embarrassment, or anxiety take away from the enjoyment of everyday life. Last year, our practice became one of the first 13 clinics in the United States to acquire the ARTAS® System for robotic FUE transplant. Since that time, countless men and women have experienced the comfortable, minimally invasive procedure firsthand. Today’s robotic FUE procedures are just the beginning, however. It is with great pleasure and excitement that we share more information on current ARTAS procedures, as well as a special look at what the future holds. FUE procedures are similar in concept to traditional strip donor hair transplants. Both procedures transplant donor hair from one healthy area of the scalp to the area that is receding and/or experiencing hair loss. Unlike strip donor, however, FUE procedures use a small punch instrument to remove individual clusters of donor hair. In this way, the development of FUE marks a significant milestone in which surgeons became able to perform transplants without extracting a linear strip of donor tissue— an extraction that inevitably left a long, linear scar. Robotic FUE now enables surgeons to extract donor hair more quickly while simultaneously reducing trauma to the scalp. Surgeons use advanced robotics and high-resolution digital imaging to guide the robotic arm to make minimally invasive extractions that preserve the healthiest donor hair for transplant. With the assistance of robotic FUE systems like the ARTAS, Dr. Paul Rose estimates that up to 1,500 grafts can be harvested in about 2 hours— half the time it takes to harvest the same number of grafts by hand. An added advantage: ARTAS selects donor hair at random to preserve the natural look of the patient’s donor areas (typically the sides and rear of the head). Until now, the ARTAS robotic technology was involved only in removing follicles from the donor area. ARTAS will soon, however, expand its role, as the robot capabilities have been expanded to the creation of the small openings (recipient sites) into which the donor grafts are inserted in the balding or thinning areas. The physician will design the recipient area pattern completely on a computer image of the patient, delineating the borders of the area to be transplanted and will also specify the direction and angle of the small openings which subsequently determines the direction and growth angle of the transplanted hairs. This information is inputted to the robotic system, which will make the sites avoiding existing hair. ARTAS controls the depth of each tiny opening and can create different hair densities in selected areas and can even create irregularity at the hairline for naturalness. This should allow the surgery to proceed more efficiently, yet still leaves room for that important human artistic input. To learn more robotic FUE and hair transplant in Miami, visit our page on the ARTAS System or call our Institute directly at 305-925-0222.